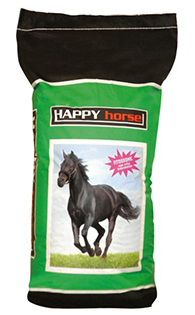 Feedstuffs carefully thought by nutritional experts being formulated, besides high level of trace elements and vitamins, with a mix of ingredients derived from plants processing finalized to maximum exploitation of breathing capabilities of racehorses. Athletic performance of a great numbers of entities has often been affected of a pulmonary ventilation deficiency. Athletic conditioning of those entities who are particularly vulnerable to dust, does not permit taking advantages from their effective vital capacity. Therefore we would rather provide you a boosted formula with plants processing products being not doping substances but capable to facilitate a natural bronchodilatation, hyperactivity to allergic reactions and to air sacs of the lung expansion getting as a result enhanced performances. It is recommended as an adjunct to chronic obstructive bronchitis on allergic basis, even as a natural supplement for the refinement of physical preparation during the weeks before an important agonistic event. For horses targeted to using FITOBRONK could be a further aid, with the scope of reducing the inhalation of allergic powder, having the foresight of greasing nostrils with paraffin oil in order that particles of dust remaining attached to the oil not irritating the respiratory system. In addition to the verified and already well-known nutritional value of these formulas they have been integrated with a percentage of “yucca” extracts. In the livestock sector that plant finds widely use in the production of pet animals food (dogs, cats and ferrets) seeing that it is a gut functionality regulator. Beneficial property of this phyto derivative is mainly represented in the capability of relieving the orthopedic problems that affecting vaulting horses (arthritis, tendinitis, etc.). The saponins percentage provided by “yucca” grants the improvement of gastrointestinal transit identifying the water particles in the gut. There is subsequently a preventative effect in regard to colic syndrome.